HomeCompany NewsGet Ready for the Bluebelt’s Next Top Token 2nd Round of Voting! 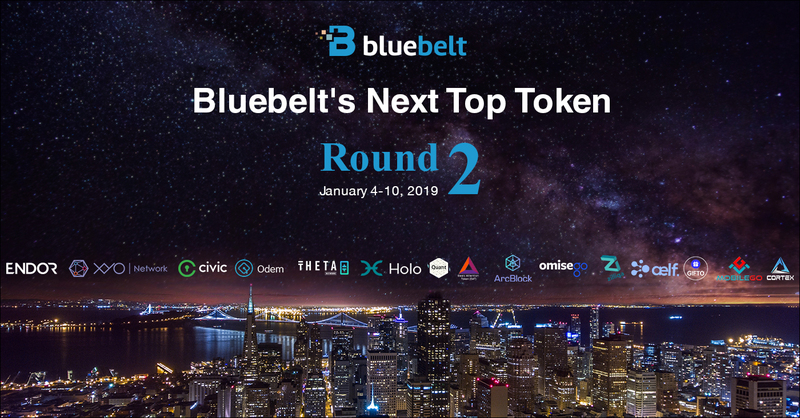 We at Bluebelt gladly announce the 2ND ROUND of voting for the Bluebelt’s Next Top Token! If you don’t know yet, the first round of voting ended last December 15, 2018, 12:00 PM GMT+9. The winning token of that round is IOST. Now, we will continue with the second round of voting to choose the second token to be listed on our Exchange that will be determined by the Bluebelt user community. The list of candidate tokens for this second round will be composed of new ones as well as the runner-up tokens from the first round of voting that received ample amounts of votes. Any person with a Bluebelt account is qualified to vote. If you want to vote but have no Bluebelt account yet, click here to create one. If you are a qualified voter, you will get 5 BBXC for voting a candidate for a poll. If the candidate you voted for wins the poll, you get 10 more BBXC. If you refer more voters, you get 1 BBXC for every voting referral. If any of your referrals win a poll, you will get 2 BBXC for each winning referral. The second round of voting will begin on January 4, 2019, at 12:00 PM GMT+9 and end on January 10, 2019, at 12:00 PM GMT+9. All BBXC rewards will be sent to the voters’ Bluebelt user account wallet in their MyPage after the winner of the poll is declared. Bluebelt will distribute the BBXC tokens to voters on September 1, 2019. The Bluebelt Exchange Coin or BBXC is the official native exchange token of the Bluebelt Exchange. BBXC holders can use BBXC tokens to pay for discounted trading fees and other fees on the Bluebelt platform.